Space is limited! Call 603-356-2441 to reserve a space in your class! Please register at least 3 days before your class is scheduled to begin. Full tuition is due at the time of registration. A full refund less a 10% registration fee will be given if you withdraw from a class less than five days prior to the first day of class. No refund will be given after that time. We reserve the right to cancel classes due to inadequate enrollment and other circumstances beyond our control. In the event of a cancellation a credit or full refund will be given. Perfect for beginners and intermediates alike! Led by Jennie Blair or Karissa Masse Jacobs, these classes are an excellent introduction to pottery making, as well as a great way to improve your skill. 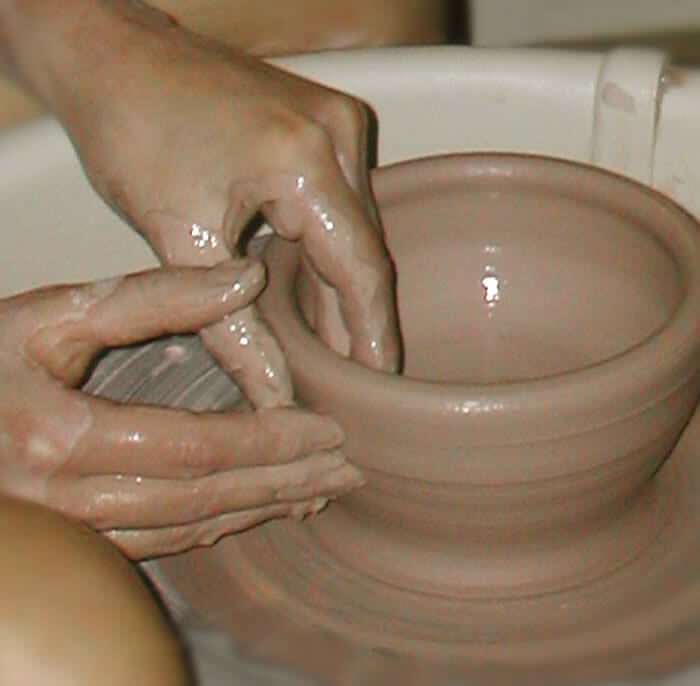 Students will explore wheel throwing, trimming, making handles, decorating and glazing techniques. “Sgraffito,” (in Italian,“to scratch”) is a unique surface decorating technique done by applying colors to the leather hard pottery, and then scratching off parts of the layers to create contrasting images, patterns, and textures, revealing the clay color underneath. Learn basic handbuilding techniques along with this unique approach! This class is great for seasoned pottery students and beginners alike! Perfect for beginners and intermediates alike! Led by Jennie Blair, these classes are an excellent introduction to pottery making, as well as a great way to improve your skill. 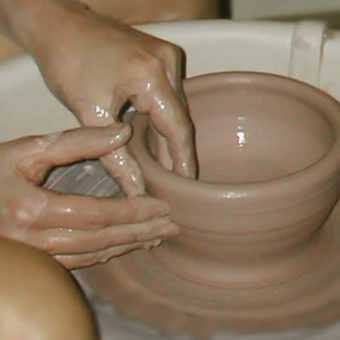 Students will explore wheel throwing, trimming, making handles, decorating and glazing techniques. 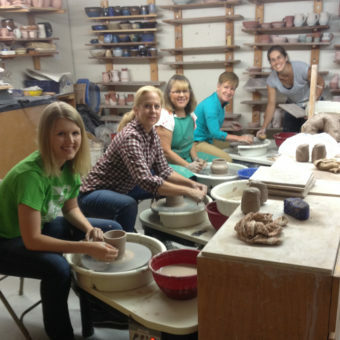 An advanced class for potters who are ready for the next step! Students in this class will learn a variety of different approaches to making lids and knobs for different covered jars. Explore what you can do with casseroles, cookie jars, and honey pots! One 12-hour class is recommended as a prerequisite for this advanced class. Perfect for beginners and intermediates alike! Led by Jennie Blair, or Karissa Masse, these classes are an excellent introduction to pottery making, as well as a great way to improve your skill. 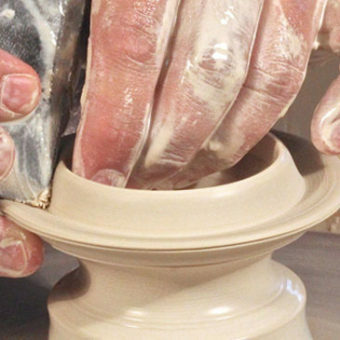 Students will explore wheel throwing, trimming, making handles, decorating and glazing techniques. OPEN STUDIOS: Continue to improve your skills and creativity on your own! 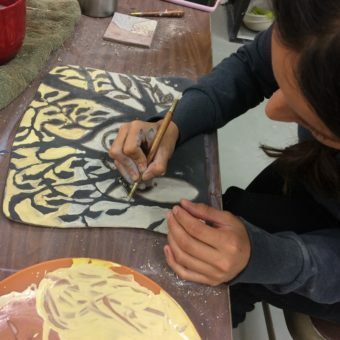 Open Studio time is available for pottery students who have taken a minimum of 12 hours of pottery classes at the North Conway League of NH Craftsmen. Open Studio members may use the studio anytime class is not in session. Please sign in and out at the front counter of the gallery. To determine studio availability, click here to view the class schedule. Monthly Open Memberships: $55 (firings not included) Great for potters who use the studio more than 8 hours per month, this membership gives you unlimited studio hours per month. 8-Hour Memberships: $55 (firings not included) For potters who use the studio less than 8 hours per month, this membership carries your hours forward into following months to be used at your own pace. Sorry, no kids classes at this time, but check back soon! We’ve been adding classes to meet the demand, so please check back soon to see new classes listed since your last visit! If you would like to receive notifications about upcoming classes, please contact us and ask to be added to our mailing list. New sessions are announced seasonally (4 times per year.) You can also join us on Facebook to keep updated about classes, demonstrations, and exciting new exhibits that come to the gallery.